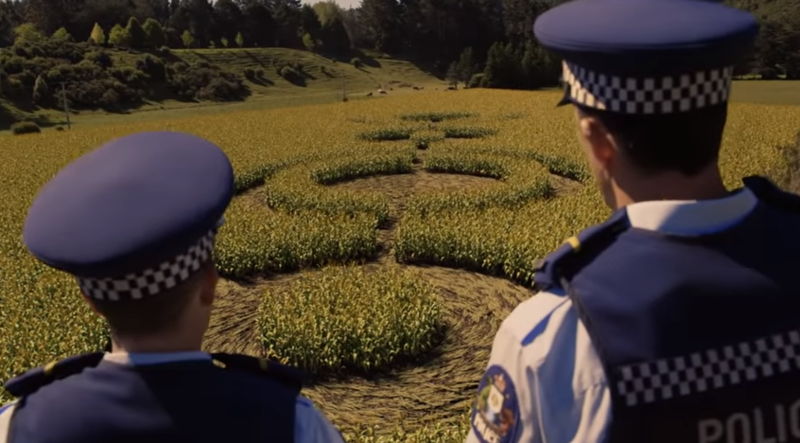 A trailer airing on New Zealand channel TVNZ 2 is now teasing an upcoming series called Wellington Paranormal, effectively a spin-off of Taika Waititi and Jemaine Clement’s 2014 hilarious indie hit What We Do in the Shadows. Wellington Paranormal appears to star Karen O’Leary and Mike Minogue as Wellington police officers. These two characters might look familiar to fans of What We Do in the Shadows, due to their comically clueless run in with the vampires in that film. This time, though, it looks like the officers will be getting into all sorts of variety of occult situations, including demons and aliens. We’re Wolves, a spin-off sequel film to What We Do in the Shadows, was also in production at one time, though it appears that project is no longer moving forward. Wellington Paranormal will premier July 11, 2018, on TVNZ 2.